I believe the elevation gain is about 1,000 feet but I have heard 2,000 feet…..(not sure). 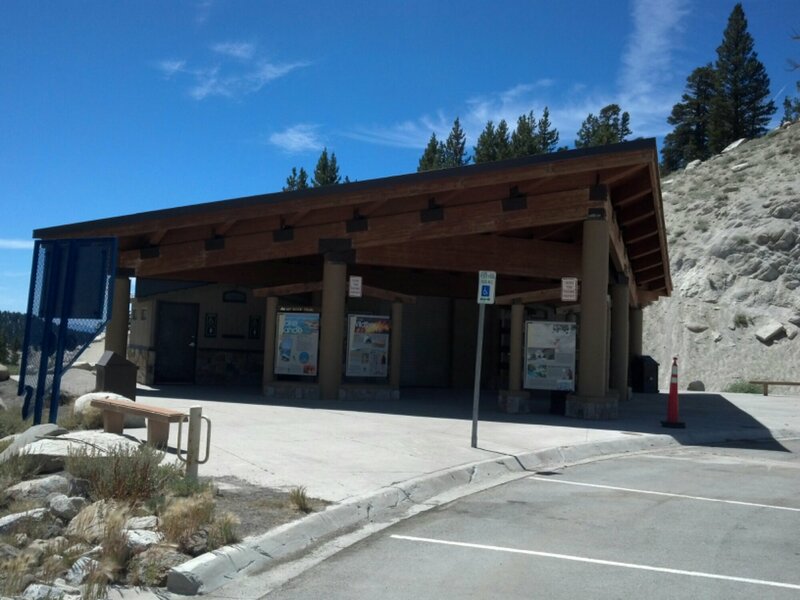 It’s located about halfway up Mount Rose Highway starting at the Mount Rose Trailhead, which is located at the summit of Mt. Rose Hwy (S.R. 431). 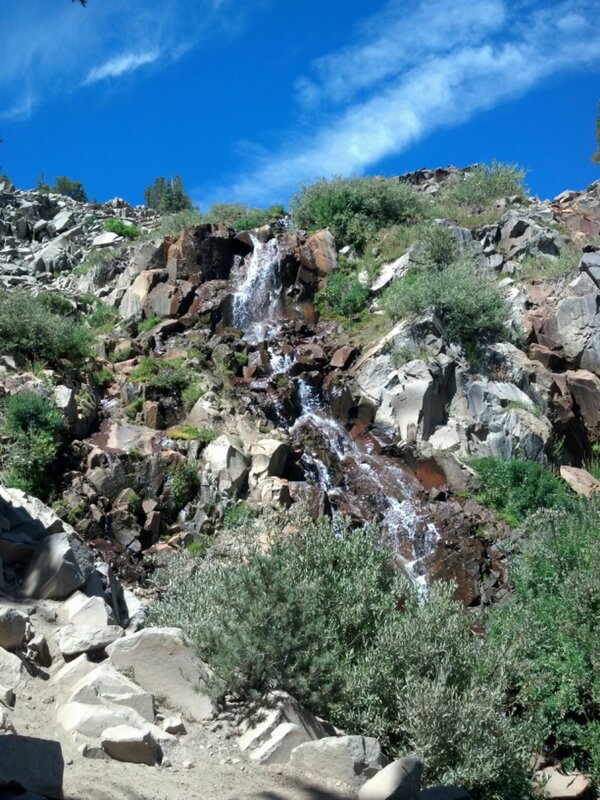 Also, there is no water at this trailhead so you will need to bring a water purifier or 2-3L per person for the hike. Next, pass the building on the left side (closest to the road) to start towards the trail. Very shortly (less than 3 mins) on the trail you will see a board that gives information on trails in the area…..yet you will need to turn right (almost a U-turn) to see the “Hiker Only” sign. THIS IS YOUR TRAIL TO THE WATERFALL. 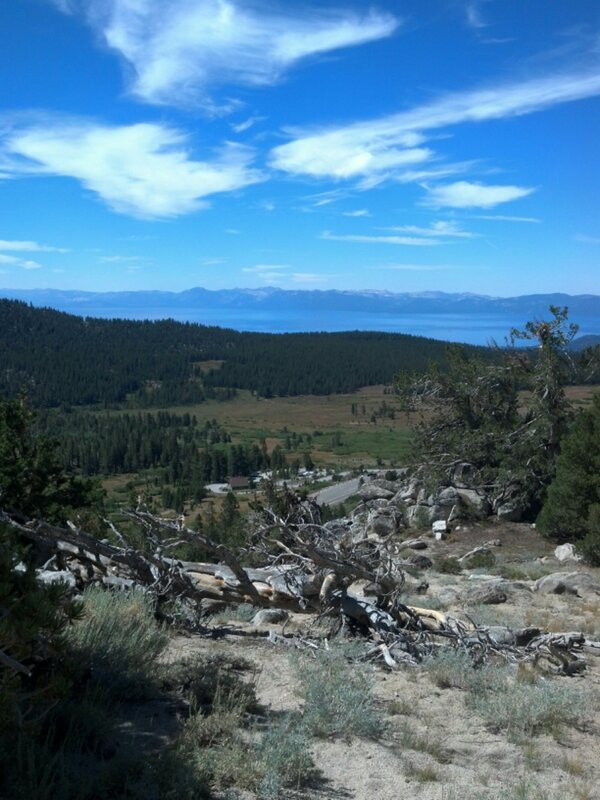 I have accidentally passed these entry stairs and have ended up on the Tahoe Rim Trail which is not all bad as you have great views of Tahoe (I’ll write another post this trail) but you can travel on this trail for 100+ miles….. 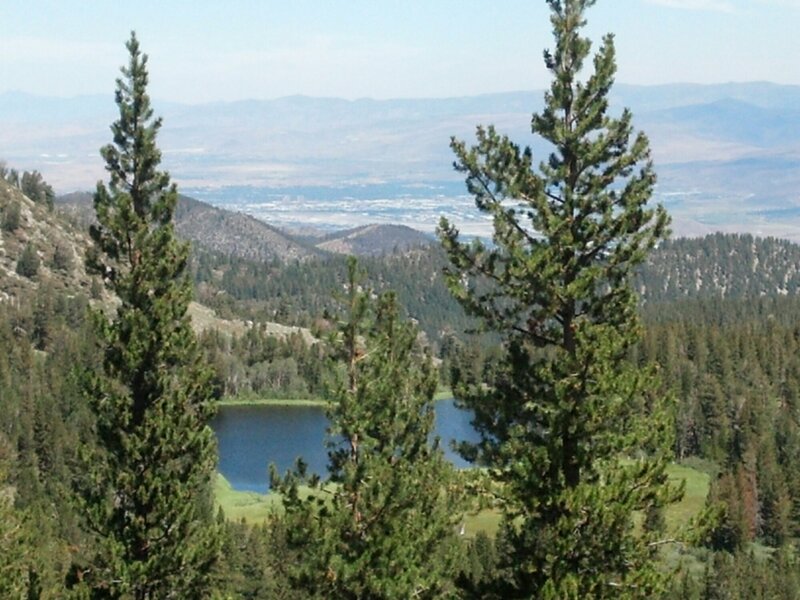 Some views of Tamarack Lake as well along the way……. I took this photo at the end of summer so I’m sure Spring time it must be even better. You can hike to the top; however, last time I was there, people mentioned that you have to climb the rocks up. I didn’t want to try climbing that day as I was perfectly content residing under a tree and just taking in the scenery.